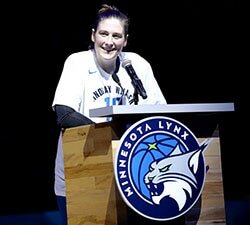 NEW YORK, Jan. 28, 2016 – The WNBA Board of Governors approved changes to playoff seeding and qualification procedures as well as the postseason format, effective with the 2016 season, the WNBA announced today. The reconfigured postseason structure, featuring live telecasts by ESPN networks of every playoff and Finals game in 2016, dovetails with a new, more balanced format for the regular-season schedule. 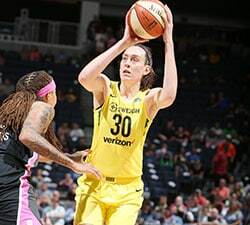 Beginning with the WNBA’s historic 20th season, the eight teams with the highest winning percentages regardless of conference will qualify for the playoffs and be seeded based on their record. The number of playoff rounds increases from three to four. The top two seeds receive a bye to the semifinals (third round), and the third and fourth seeds receive a bye to the second round. The semifinals feature a best-of-five format, with the No. 1 overall seed playing the lowest remaining seed and the No. 2 overall seed meeting the remaining team. The Nos. 1 and 2 seeds will host Games 1, 2 and 5, and the lower-seeded teams will host Games 3 and 4 in their respective series. The WNBA Finals remain best-of-five and follow the same 2-2-1 format. Most recently, the top four teams in both the Eastern Conference and Western Conference qualified for the playoffs and were seeded by conference standings. The East and West each held two best-of-three conference semifinals, followed by a best-of-three conference finals. 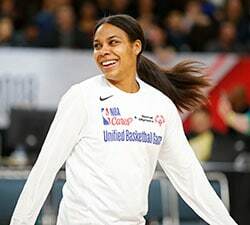 The conference champions advanced to a best-of-five WNBA Finals. Most recently during the regular season, teams faced cross-conference opponents once at home and once on the road (12 games). The remainder of a team’s schedule consisted of five games apiece against two in-conference opponents and four games apiece versus the remaining three in-conference teams (22 games).